Good morning friends. With Valentine’s Day approaching, I wanted to share with you this outfit idea. By the time I got it and photographed it, it was SOLD OUT! What a disappointment!!!!!! I’m just not quick enough I guess! But this site, Chic Wish, has the most ADORABLE and SWEETEST things for your Valentine’s Day outfit! And the price-point you’ll see is AMAZZZZZING!!! 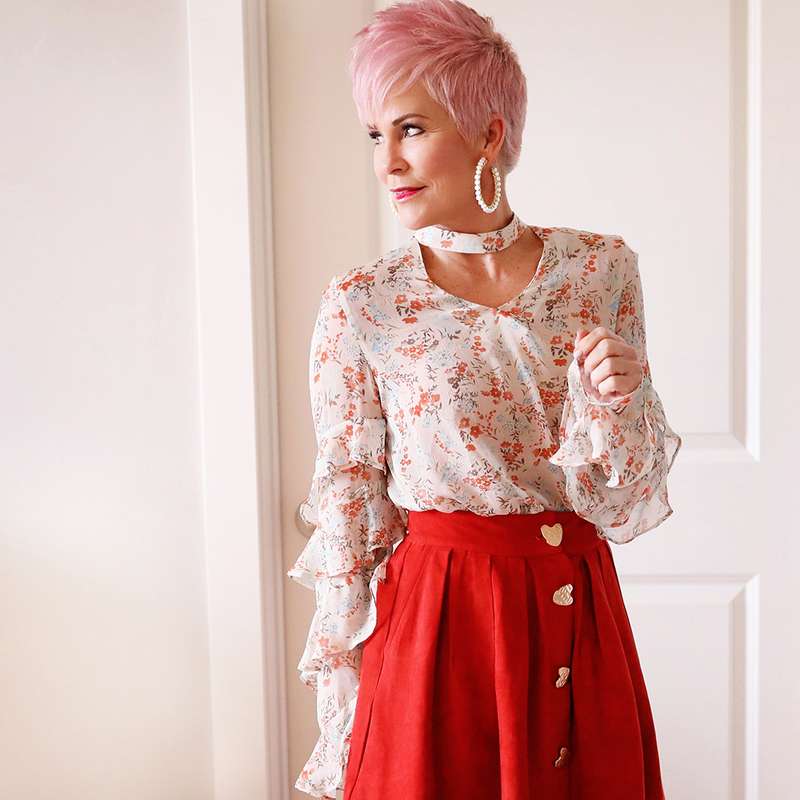 I’ve linked up a very similar look here, as well as my favorite V-Day pieces!!!! Lipgloss is called Chilli! Adorable outfit! Ah the weather is certainly a factor this year. I too have winter outfit fatigue which rarely happens…I love sweaters and boots! It’s hard to think spring as I watch it snow outside. I appreciate your inspiring pictures and the link! Spring is not to far off! This is such a romantic look! I really love the exaggerated sleeves and the little hearts buttons on the skirt. Did the skirt come that way, or did you add the hearts yourself?